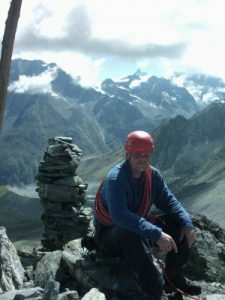 Alpine mountaineering course in the Swiss Alps. 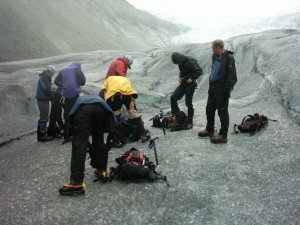 On the first day of the course, we went to a glacier to practice moving around with crampons and ice axes, and stuff like that. I was delighted to find, that all my equipment worked perfectly. Everyone puts on their equipment. 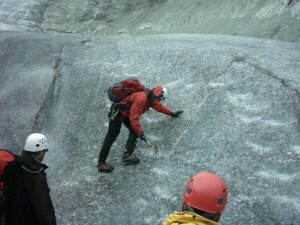 Phil instructs in the use of ice axes, and moving accross uneven ground. 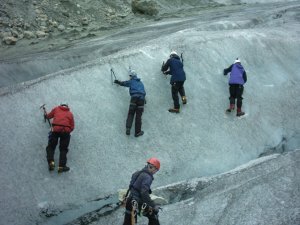 The group practice ice climbing on a conveniently sized ice wall. 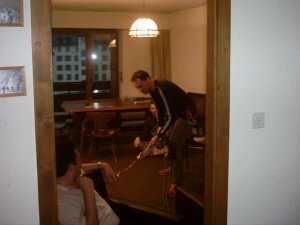 That evening, the lads I was sharing an apartment with, decided to practice crevasse rescue (a key technique in Alpine mountaineering) in the living room !. The following day, we set off, for a 2 day excursion to the Dix Alpine hut. 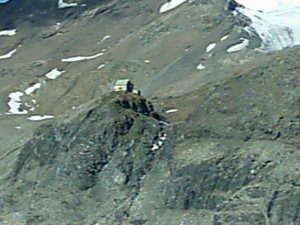 This is a picture of the hut in the distance, as we walked up from Arolla. Although I was much fitter than before, everyone else had been getting fitter as well, and I quickly found myself at the back. The walking poles I bought were really useful, and I reminded myself of the Brian Tracey quote “by the yard its hard, but by the inch its a synch”. The Dix hut from outside. It was a beautiful hut, and all the more beautiful for being so isolated. A few of the locals had brought 3 generations of their family up for dinner, and the evening out. They even had Swiss army knives with the hut name and logo on them (I bought one for Sarah). The cost of drinks in the hut, was a little expensive, but I had a few beers and wine, and the evening was quite fun. 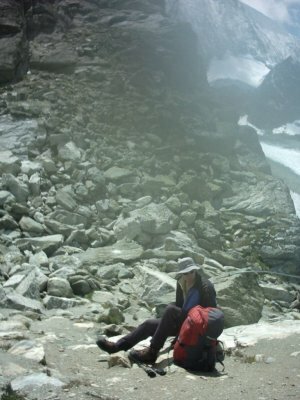 The first night, couldn’t sleep due to the altitude, but by the 2nd night, I was fine. 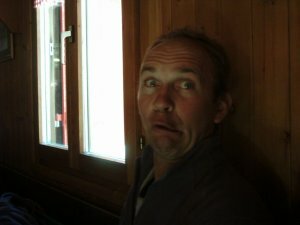 It’s very hard to get an Alpine guide to pose seriously for a picture. 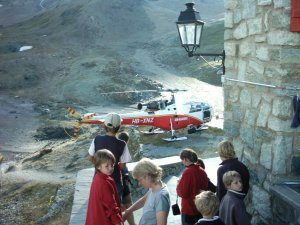 In the hut during the evening, the mountain rescue helicopter landed outside and many of the Children (and me) all went outside to watch it take off. In the morning, we got up to do various activities. The view from the hut was impressive. 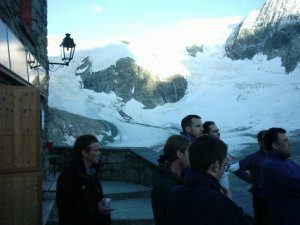 In the bottom left of the picture is a PYB instructor called Martin, who had been to the top of Everest. This mountain was the first thing you could see, when you walked out of the front door, of the hut. 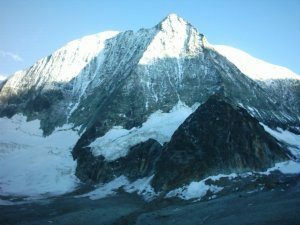 I could hardly believe the angle of this mountain, the sides formed almost a perfect triangle. 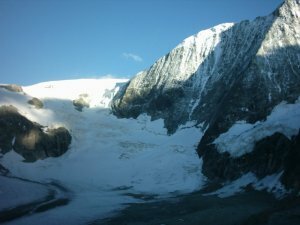 A glacier up towards the Pign D Arrola. A few of the lads actually got to climb this, but although I was much fitter than previous trips, the blisters on my feet limited me a bit. 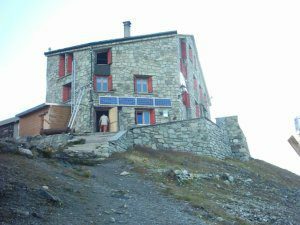 Instead, I walked back from the hut with Phil a qualified Alpine guide (it is illegal to guide or lead in France or Switzerland without this qualification). 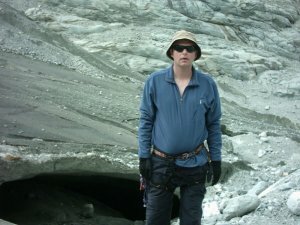 Phil showed me this mountain, and with his help I got to the top. At 3015 metres it is the highest I have ever climbed. I ended up going home, the following day, but I had a brilliant time. I would like to thank Twid and Martin, and especially Phil from PYB for an amazing trip and for all their help and assistance.